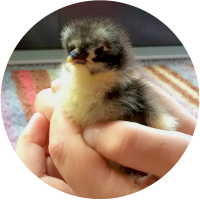 This section has been broken down into a number of areas as a guide to help you keep chickens. This section covers choosing housing, providing a safe environment, choosing chickens and things you need to have in place before your new chooks arrive. This section contains lots of handy tips and advice on many things which I’ve struggled to find easily on many other sites on how to look after chickens in general. This section provides advice on keeping your poultry healthy, how to identify and treat common ailments and other occurrences such as broodiness and moulting. Protecting your poultry from predators is an important factor you should consider at all times. Here’s some useful tips on how to keep your chickens safe. This section covers the variety of chores which need to be carried out either regarding your chickens, their coop or the run at various points throughout the year. There are various tasks and jobs which need to be carried out regularly on the area where you let your chickens out to roam to keep them safe and happy. Eggs are one of the main reasons people keep hens and you really can tell the difference between eggs you get from the supermarkets to the free-range ones your hens will produce.